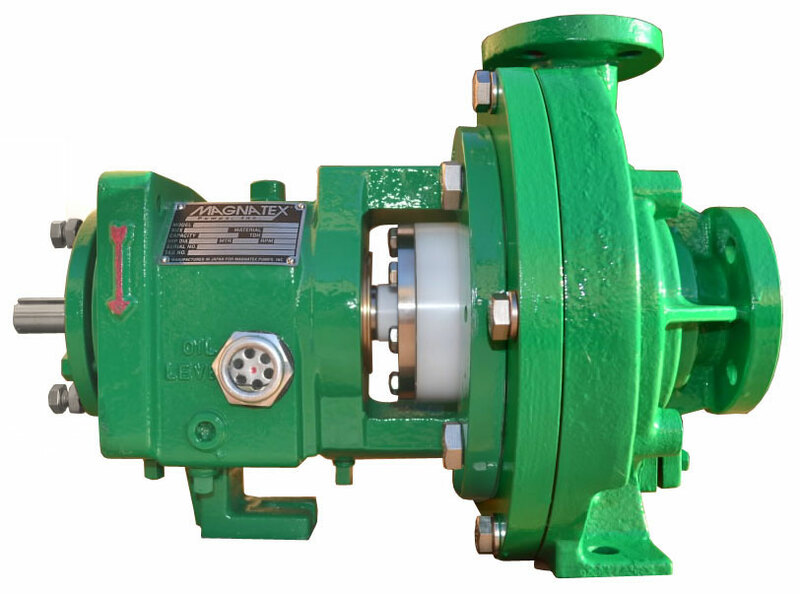 The MLS series pumps are heavy duty, mechanical seal, ANSI dimension, PFA/PTFE lined pumps, specifically designed for aggressive chemical services, especially services with entrained solids, where magnetic drive pumps are not recommended. 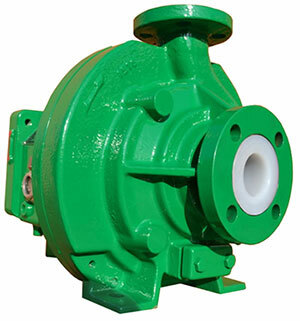 Pumps are manufactured using a 1200 psi transfer molding process ensuring a uniform, extremely dense, low porosity, air bubble free lining for years of trouble-free service – even in the most aggressive corrosive environments. Linings are secured by dove-tail grooves to mechanically bond them to the metal armor preventing movement and cracking in vacuum or low suction pressure applications. Most competitors use a roto-molding process, which lines the pump casing with PFA or ETFE pellets in a heated mold that is slowly rotated around two perpendicular axes, dispersing the softened material so that it sticks to the walls of the casing mold. Since this process is done at atmospheric pressure it results in a non-uniform coating thickness, which is much more porous than the high pressure process which we use, resulting in much lower MTBF than Magnatex pumps. Also, the roto-mold process is prone to leave air bubbles between the casing liner and the casing armor; these air bubbles will expand as process temperatures rise leading to cracking of the lining which will ultimately cause chemical leakage into the atmosphere. 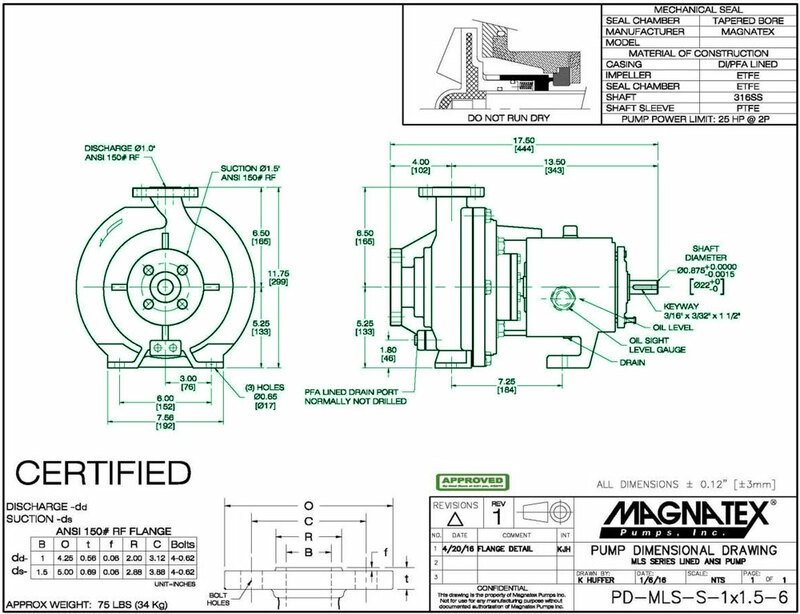 MLS pump casing armor allows the same flange loads as metal pumps. Fluoropolymer-lined pumps have become the go-to solution to replace expensive exotic alloy pumps in process plants worldwide.